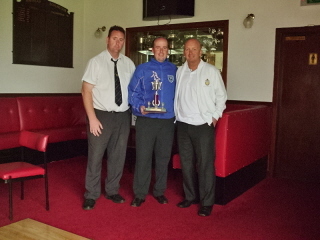 The Lodge Dolphin No 911 Friendship Bowling Trophy was staged at Burnhead Bowling Club, Larbert on Sunday 10th June 2012. Some 16 teams of Triples from various Lodges within and without the Province of Stirlingshire took part and had a most enjoyable day in a friendly atmosphere. 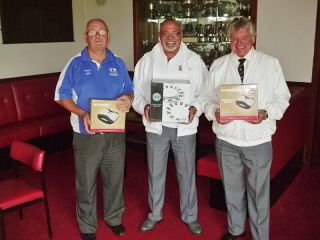 The winners were the team from The Lodge of Alloa No. 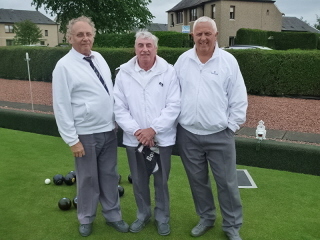 69 consisting of Bros. Campbell Robertson, Brian Ramsay and John Bell (skip) who defeated the team from Lodge Dolphin No. 911 made up of Bros. Ian Watson, John Carson and John B. Muir (skip) in the final. The two losing semi-final teams came from Lodge Barns o’Clyde No. 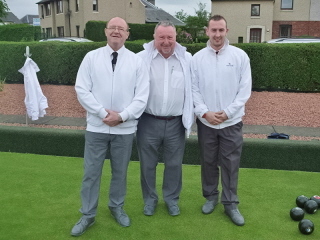 1018, Clydebank and mixed Lodges team from Burnhead Bowling Club itself.